Are you looking for a villa with swimming pool in Ericeira to spend your holidays? That’s perfect! 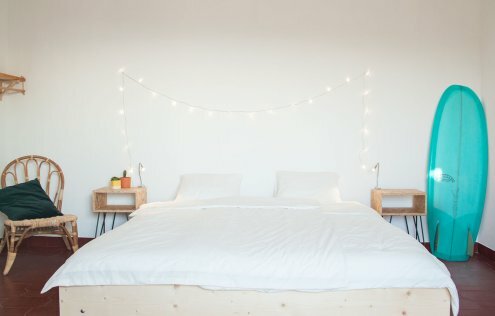 Welcome to Olá Onda, a guesthouse for everyone who loves surfing, beautiful beaches, pastries, wine, nature and Portuguese culture. Because you’ll find all that at our accomodation. We are located in a quiet area north of Ericeira, 10 minutes walking to the beach and the center of the city. We offer spacious rooms with private bathrooms, some with sea view and private balcony. The villa is surrounded by a big garden with a swimming pool and several lounge areas. We serve breakfast, all you have to do is eat it and do fun stuff all day. Find out what other people are saying about their stay at Olá Onda! If you have any questions you can check out our Frequently Asked Questions or send us a message. We are happy to get in touch with you! We always reply as fast as we can. Olá Onda Guesthouse is a typical Portuguese villa from the 80’s which we completely renovated in 2017. The Portuguese roots are still visible in the tiles on the floor, the wooden windows and the marble fireplace, but combined with a modern interior. We decorated each room with lots of love and attention. 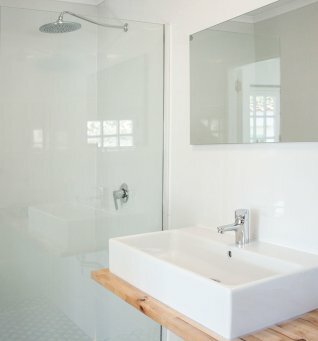 Our rooms are spacious, light and provide plenty of privacy. All have a private five star bathroom and a kingsize bed. Part of the beautiful coastline of Ericeira, and therefore the surf spots, is protected area being Europe’s only World Surfing Reserve. The coast is littered with golden sand beaches, stunning cliffs and great waves for everyone; beginners, intermediates and advanced surfers. 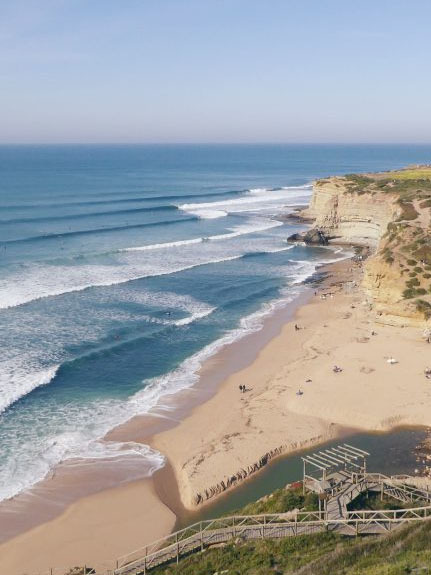 Read all about what it means to be a World Surfing Reserve in our blog and more on where to surf in our very own Ericeira Surf Spot Guide. Next to the great surf, the town of Ericeira is a most pleasant place to stay. You’ll find tiny blue and white houses, small cobblestone streets, sunny terraces and friendly people. 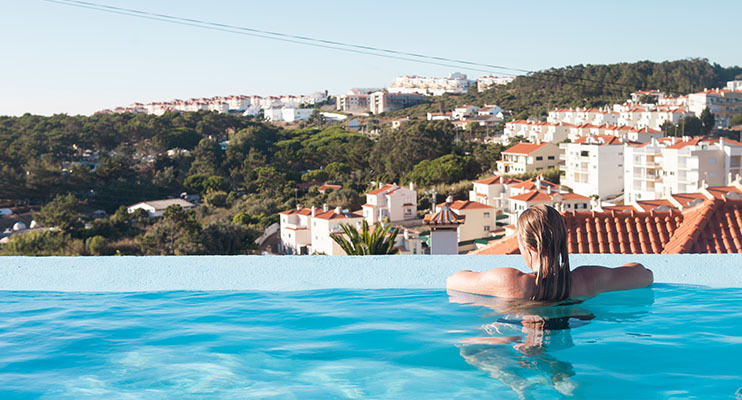 All a stone’s throw away from the beautiful city of Lisbon, Sintra and Cascais. Should you rent a car when coming to Ericeira, Portugal?